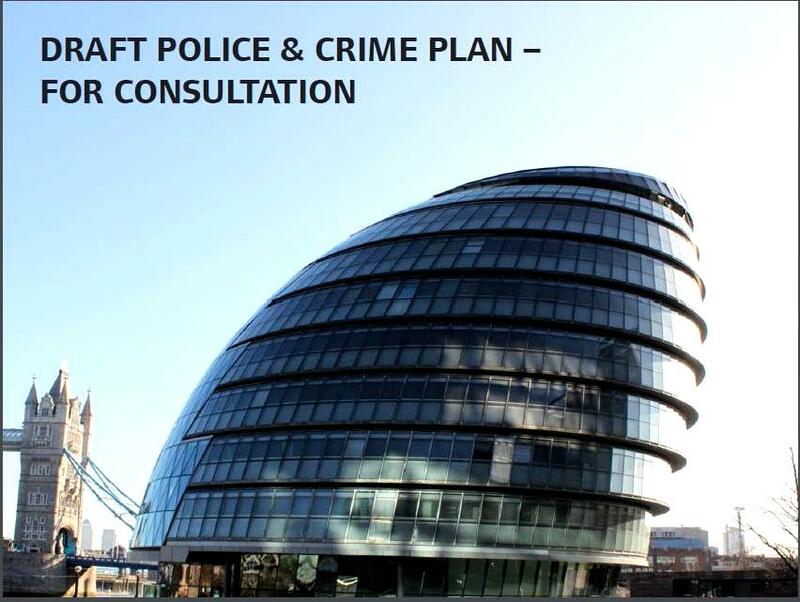 Stop Press (9 Jan): Here is the draft Police and Crime Plan, the slides shown at the Lambeth consultation and the Consultation Draft, which gives details of how to provide feedback. The deadline is 6th March. Written responses are invited here. Consultations come, consultations go. This one is on policing and crime – and a roadshow is coming your way. “We want your views to help shape the Mayor’s Police and Crime Plan which will be published in April 2013. There isn’t much time between the final consultation at City Hall on 28 February and the publication date to make any changes, but there will be a chance to see what is planned and to ask how local communities will be engaged over the next four years. How will other agencies – eg the community safety team within each local council – be tackling crime and engaging local people? How will your borough’s community police engagement group (CPEG) be involved? Will there be a role for local faith forums? There is a particular focus on engaging the victims of crime – how will young people and other victims be included? “The MOPAC has a duty to consult communities on policing in London, including getting the views of people in the area. Boroughs with a Hate Crime Forum will want to see how their work relates to the new policy. Find your borough below (the link will take you to further details) and find your local CPEG from the map here. Would it be useful to look at this at our next meeting? Suggestions always welcome. The first roadshows are on 9 January (Lambeth and Southwark) and the last (for everyone at City Hall), is on 28 February. This entry was posted in Crime, Community Safety, Security & Local Resilience, London and tagged London boroughs, Mayor of London, Metropolitan Police, MOPAC by Catriona Robertson. Bookmark the permalink.